William Samuel Johnson was born on October 27, 1727 and was an American statesman who was key in the signing of the U.S constitution. Johnson represented Connecticut in the U.S Senate and served as president of Columbia University. In the years prior to the American Revolution, Johnson was an influential figure. Receiving his early education at home, Johnson successfully completed his bachelor degree in Yale College in 1744 and went on to earn his master's degree in 1747. Destined to be a clergyman, Johnson instead pursued a career in law. Johnson established a law practice and developed a prominent clientele. 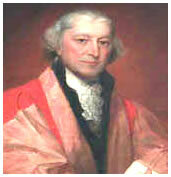 During his early career, in 1172-1774, Johnson became a member of the Supreme Court. When the Patriots movement turned more radical and started to demand independence, he faced some difficulties in making a final career choice. In some parts, Johnson was intimately connected with Britain with business connections, professional and religious ties. He was a member of the Anglican Church with close associations in England. With the intellectual community at Oxford, in 1766 he gained an honorary degree. From 1767 up to 1771, Johnson lived in London in order to be Connecticut's agent to attempt the reconciliation of colony's title to the lands of Indian. Johnson feared the consequences of independence for Southern and Northern colonies as well as the mother country. He tended to keep away extremism and tried to compromise political differences between the protagonists. However, the Patriots criticized him due to his rejection of his elected position in the First Continental Congress. He received further criticism due to his attempt to end the battle after Concord and Lexington by meeting with General Thomas Gage, the British Commander in a private meeting. This led to his arrest on charges of communicating with the enemy. These charges were later dropped after it was discovered that they were baseless. When the United States achieved its independence, Johnson took part in the new nation’s government. During 1785 to 1787, he served in Congress of the Confederation and his involvement as a delegate was influential. One of his colleagues, Jeremiah Wadsworth in his letter to a friend wrote that Southern Delegates were massively devoted to Johnson. In 1785, Johnson was awarded by the Vermont Republic a town in the past King's College Track since Johnson had represented the Vermont interest far before the Continental Congress. Johnson also involved in the Philadelphia Convention in 1787 and was known as one of the most respected and prominent delegates. His expressive speeches around the topic of representation had great weight in the debate. He relied on a powerful federal government to keep the Connecticut's rights and other states from infringement by their stronger neighbors. Johnson also supported the New Jersey Plan, which demanded equal representation of states in national legislature. Further, Johnson promoted federal authority extension and the law inflexibility had to be alleviated by fairness. He also denied the existence of betrayal against separate state as independence was rightly in the Union. Johnson delivered a huge support to Connecticut Compromise foreshadowing the end of Great Compromise. The Connecticut Compromise contained a national legislature led by a Senate providing an equal representation for the entire states and also a House of Representatives with population as the basic consideration.